This book is exactly what I needed to read. It got a big message through my head that I needed to understand in real life, and I’m so grateful for reading it at the time that I did. Another huge thank you to Taylor for getting me to crack this one open. 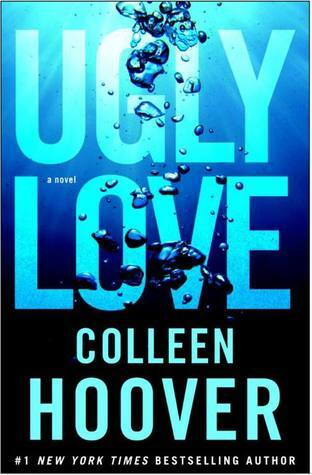 It was absolutely beautifully written and is the first of many books I’ll be reading by Colleen Hoover. This book is basically a parallel to some stuff that I’m going through in my life right now. It’s not easy and there’s no one to talk to about it who really understands it from a personal perspective, because no one else has gone through my experience but me. This book, however, is basically my situation exactly. And I needed to read about someone else experiencing it and going through it and how they handled it in order to understand and help me through it. Parts of it weren’t exact, as it’s not as though she was writing an autobiography on me – but enough of it was so close to exact that there were points where I had to put the book down and just sob because I can understand what Tate was feeling at that exact moment. This was a tough one for me to get through because of how similar it was to my real life, but I needed it, and it helped immensely with my healing process and coming out of this experience a stronger person. I absolutely LOVE this book and am so glad that I was able to read it at a time when I really needed it. That’s the best way to read, isn’t it? This is one of those books that I’ll be recommending to people for a long long time. Yes. What genre do you review? I like your work. My publisher just released “Bully Route Home” my novel about bullying and race relations in the 40’s South. Won award as a literary novel but could cross to YA (features 12 yr old protag.) How do I get you a synopsis. Feel free to email me at logan.ashley.leduc@gmail.com with a synopsis, page count, and the works. All the details on what to send me can be found on the Contact Me page. Looking forward to hearing from you!